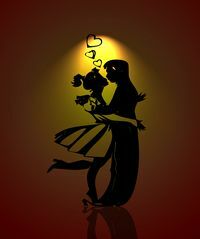 Do you often find yourself thinking… “Ahh what a great night but why didn’t I kiss her” ? If so, then you’re not alone. It seems as if one of the biggest regrets that guys have during dates is not knowing when to make that move. It’s not your fault either, it’s a daunting task to dive in when you don’t know what’s going to happen! Fortunately, there’s help. Here’s how you can live with the regret of “I shouldn’t have kissed her” instead! First, during the date, you must slowly build some physical comfort. This means that there should be some physical contact of some sort. This can be brushing against each other, little subtle touches or even bigger touches such as touching hands. This makes a kiss at the end a lot more natural because it’s just a progression of what’s been happening. When you’re hanging out with someone and having a good time, it’s likely that there’s going to be some sort of physical contact… so don’t even worry about this. If there isn’t any however, then sound the alarms! Second, there’s a trick to know WHEN a girl’s ready to be kissed. I can’t take credit for it though, it’s David DeAngelo that came up with it. He calls it his ‘Kiss Test‘ and it works every time. Use his test, you can tell exactly when a girl is ready to be kissed without having to have an awkward moment. Finally, just enjoy yourself. Usually, if you really feel that you should have kissed her, then she probably feels the same way. You just need to take your courage in hand and go for it!